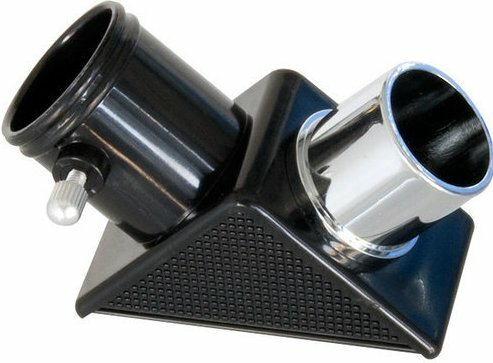 Due to its compact size, this telescope is easy to store and perfect to carry around. 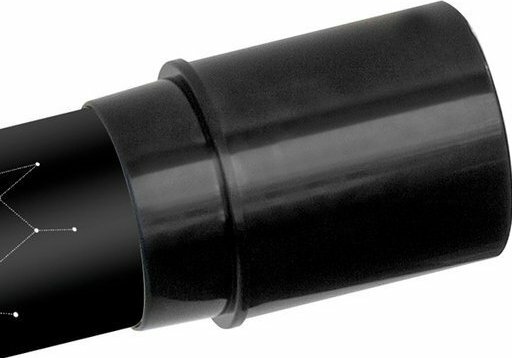 The optics are fully coated, always ensuring a clear image. 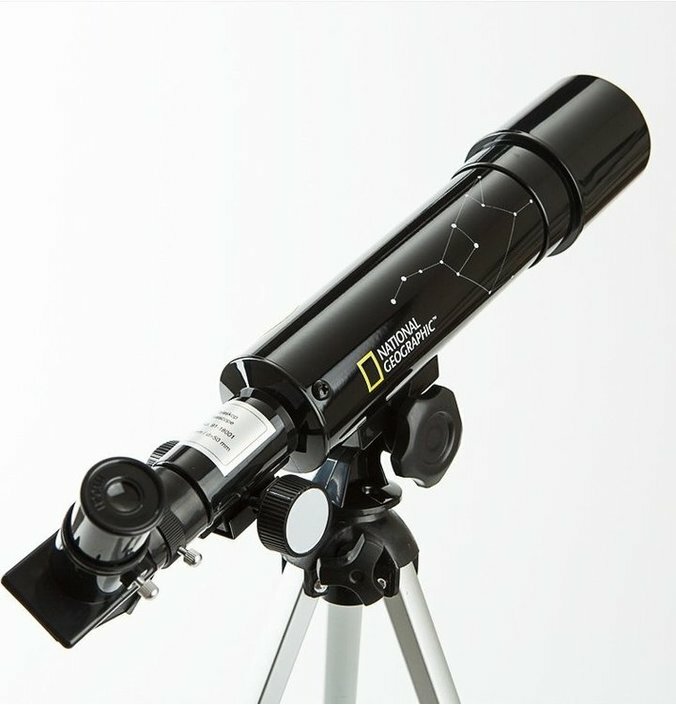 The telescope comes with a 0,96" Zenit prism and a star map. 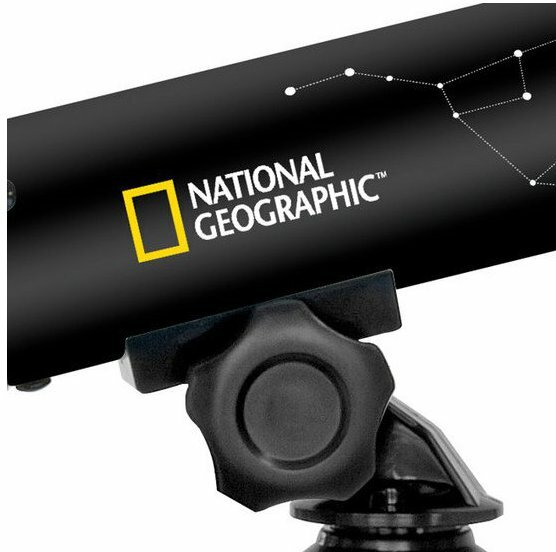 The National Geographic Refractor 50/360 is the perfect refractor telescope to travel with. 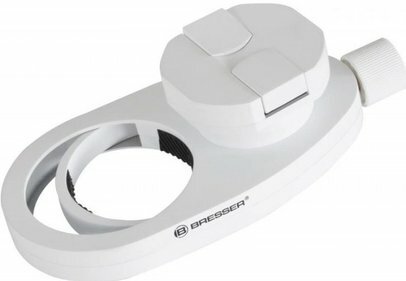 Due to its compact measurements, it is an easy telescope to carry and store. 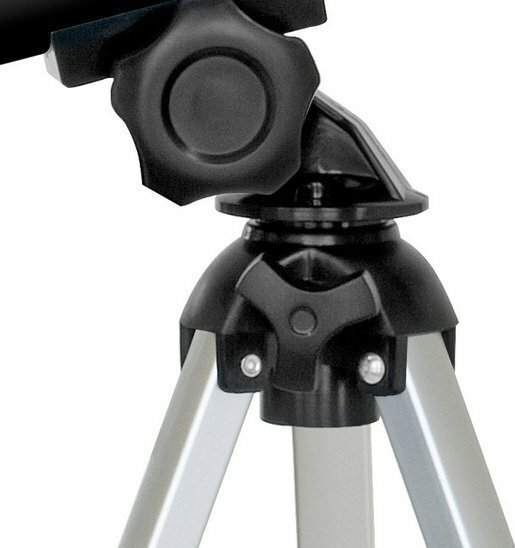 Together with the aluminium tripod it is ideal to use all over the world. 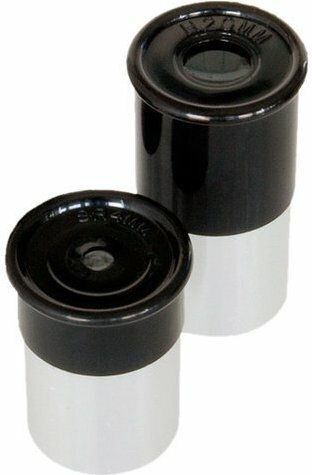 The fully coated optics guarantee a clear image under all circumstances. 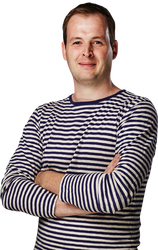 Its lens-diameter is 50 millimeters, while the focal length is 360 millimeters. 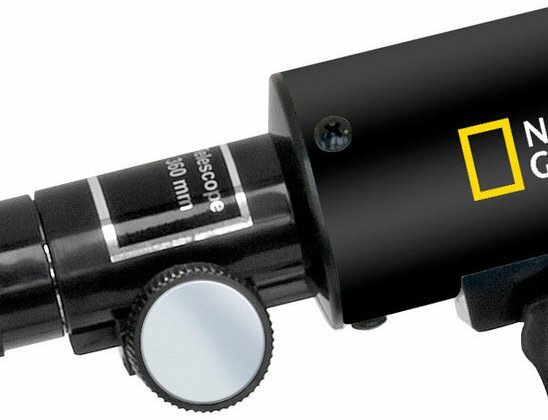 6 and 20 millimeter eyepieces make it possible to magnify 18 times respectively 60 times. The best possible magnification is 100 times. 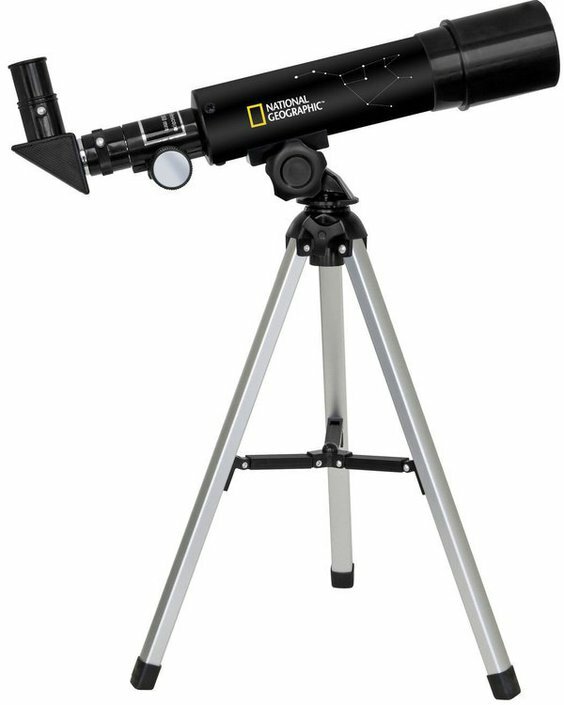 This National Geopgraphic Refractor telescope is suitable to observe the moon and to distinguish different planets. The star maps that are included help you discover "new" planets. This way you make optimal use of the National Geographic telescope. It helps you recognize different heavenly bodies. 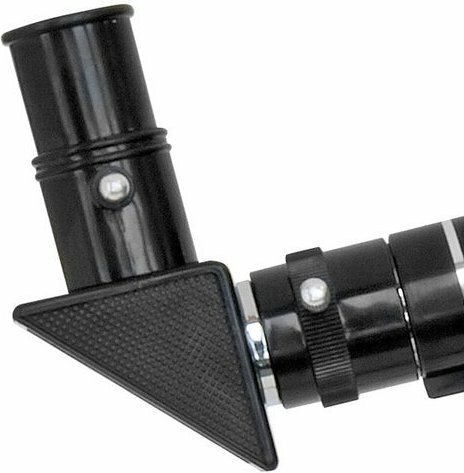 Besides the star map the telescope comes with a 0,96" Zenit prism. None it has been overcast since I received it. What more can I say. Great product, my granddaughter loves the product. Grandfather well chuffed.